It’s the Gen Con Road Diaries, featuring a bunch of guest stars! 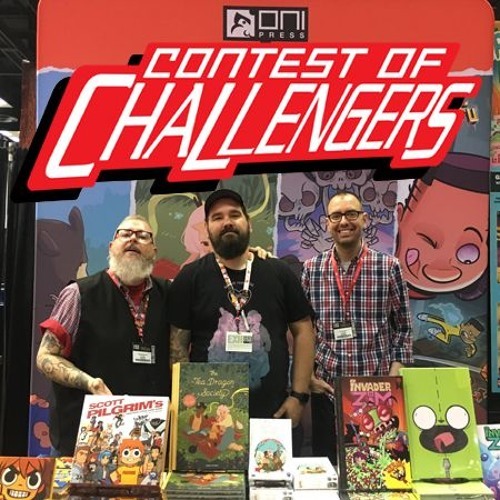 0:03:40 Brad Rooks from Oni Press. 1:05:39 Cory Casoni from Table Titans. 1:12:00 Gabo, artist of “Dead of Winter” and “The Life After.” 1:16:23 Kory Bing, creator of the webcomic Skin Deep. Plus, occasional check-ins from Patrick and Dal about their first time at “The Best Four Days in Gaming” and a rundown of the games they played after-hours (spoilers: Kyle Starks won almost everything and Patrick always came in dead last).